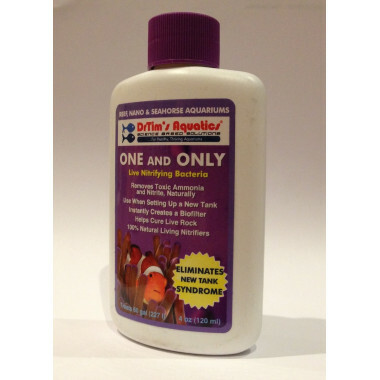 Treatments There are 12 products. 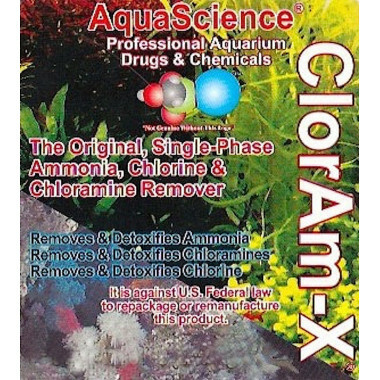 Ammonia and Chlorine NeutraliserClorAm-X is a dry powder water conditioner that detoxifies and removes ammonia, chlorine and chloramines in both fresh and salt water. 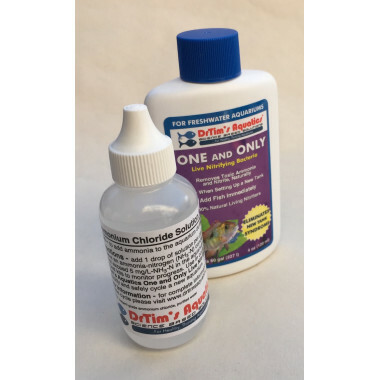 The CoralRx Pro Coral Dip One Shot has the 30 drops needed to create a one gallon mixture. 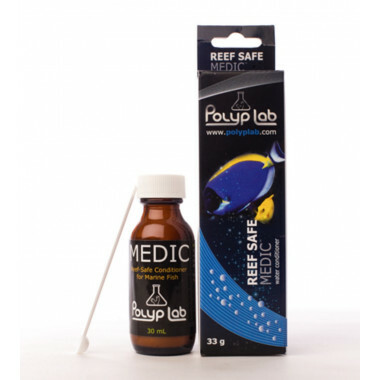 Coral Rx Pro treats corals with parasites and is a prophylactic measure to promote healthy corals before parasites or bacterial infections become harmful. 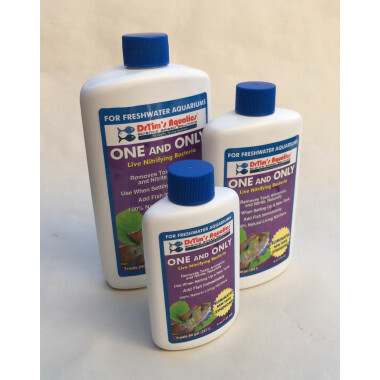 One and Only Live Nitrifying Bacteria Eliminates new tank syndrome Instantly creates a bio filter Removes toxic ammonia and nitrite, naturally No sulfur or other offensive odors No wait needed 100% natural Good for 6 months at room temperature,1 year at 50°F. 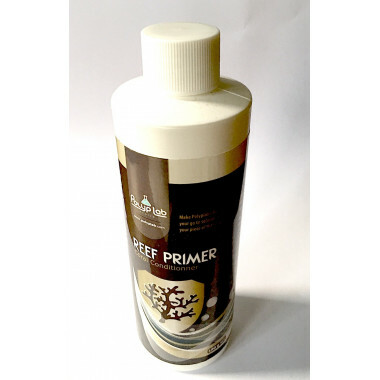 Best to keep refrigerated for longest shelf life. 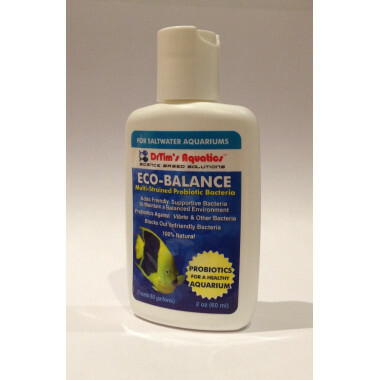 Eco-Balance Multi-Strained Probiotic BacteriaMaintains a balanced, healthy aquarium environment Blocks out unfriendly bacteria Promotes optimal water quality 100% Natural Good for 6 months at room temperature,1 year at 50°F. Best to keep refrigerated for longest shelf life. 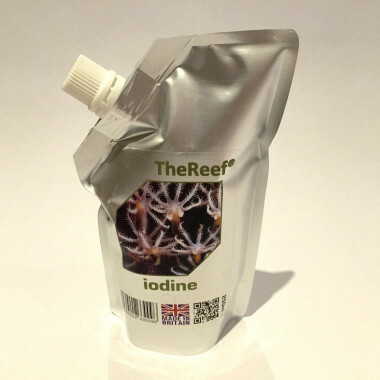 Lugol's Solution for Use by Advanced Reef Aquarium Hobbyists 30ml OverviewBrightwell Aquatics Lugol's is an extremely powerful iodine/iodide solution. 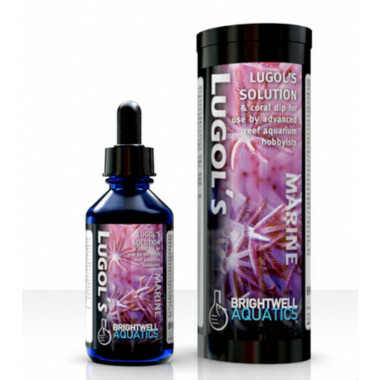 It should only be used by advanced aquarists.Lugol's is not formulated for human use. 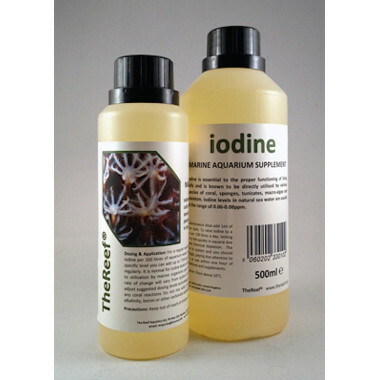 TheReef®Iodine is made from a blend of chemically pure salts of iodate and iodide ions - the forms of iodine most readily taken up by marine organisms. 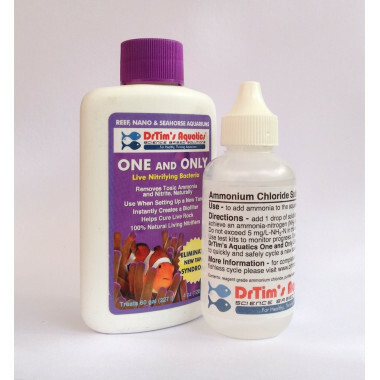 One and Only Live Nitrifying Bacteria for Freshwater Aquaria Eliminates new tank syndrome Instantly creates a bio filter Removes toxic ammonia and nitrite, naturally No sulfur or other offensive odors No wait needed 100% natural Good for 6 months at room temperature,1 year at 50°F. Best to keep refrigerated for longest shelf life.